A big thank you to John Lewis & Partners Edinburgh for their generous £4000 grant that will go towards training and supporting peer volunteers to deliver activities such as Tai Chi and seated exercise. 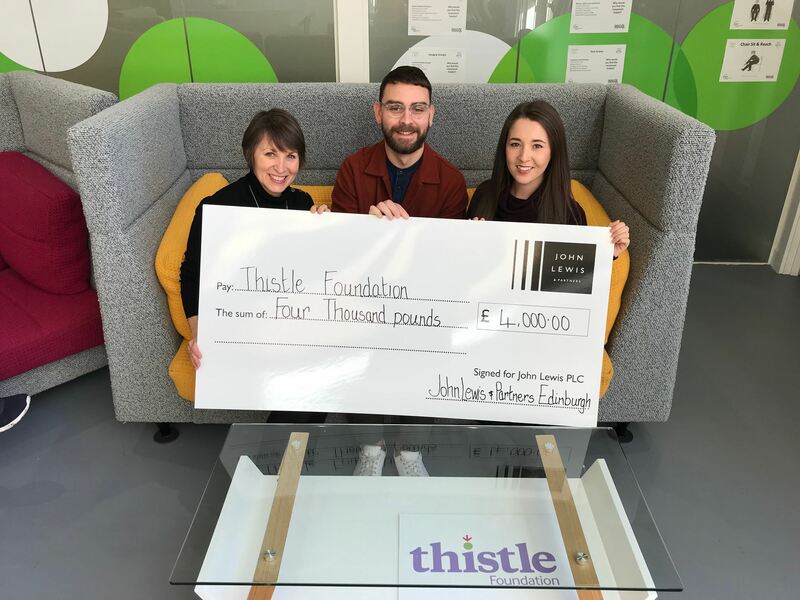 Judith Hunter is pictured with Thistle's William Oviatt and Chiara Alagia. Lloyds Volunteers give Thistle a refresh!